Shujaa Graham speaks for Rodney Reed | Free Rodney Reed! Published February 25, 2015 at 960 × 640 in Shujaa Graham speaks for Rodney Reed. Exonerated death row prisoner Shujaa Graham, member of Witness to Innocence, speaks about his time spent wrongly incarcerated on California’s death row. Rodrick Reed, Rodney’s brother, is on the right. 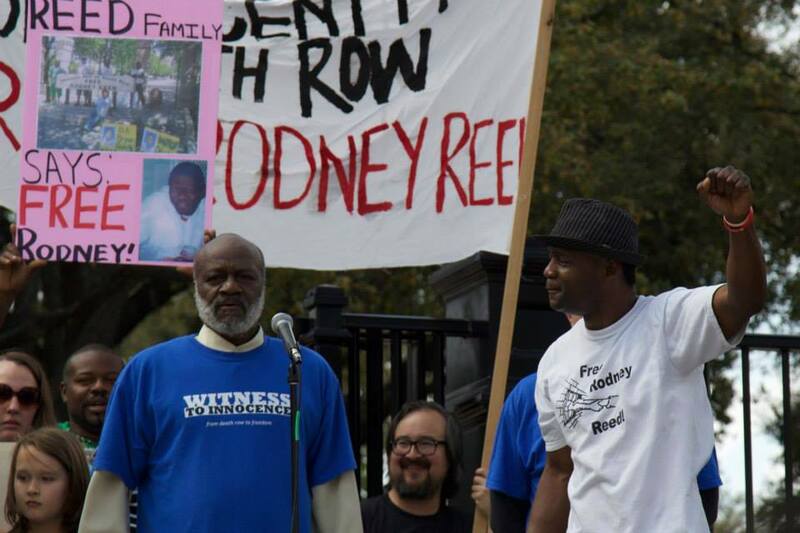 From the “Rally For Justice for Rodney Reed” on Feb. 21, 2015.